Scorpio man Scorpio woman compatibility is strong on an instinctive level, of course, like all same sign relationships, because the couple truly understand one another. For this couple, however, their initial getting together is likely to be quite slow and cautious. They’re not really sure if they want to take the risk of a relationship; if either has ever had a relationship with a fellow Scorpio before, they’ll probably be very wary of going through all that again. Once the Scorpio man Scorpio woman relationship is underway, it will be a very private affair. This couple present an inscrutable mask to outsiders, who may never truly know what’s going on. Behind closed doors, it’s an exceptionally passionate relationship, of course – what else would we expect from two partners belonging to this most sexual of signs? It’s also a very tempestuous one, with both partners plumbing the depths of passion with their tempers and sulks too, and imagined slights setting off chain reactions of emotional responses. 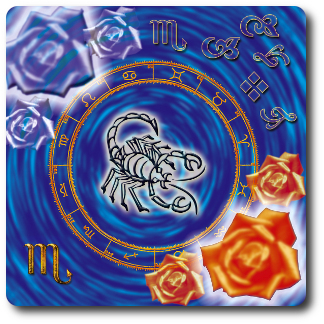 Scorpio man Scorpio woman compatibility is never going to be smooth ride. There’s absolutely nothing casual about this relationship, but its searing intensity can work for both good and for ill. The couple share enormous will power and determination, and they can choose to use that either to build the relationship or to destroy it. Unfortunately, for the majority of Scorpio-Scorpio couples, the intensity seems to be too much in the end and Scorpio man Scorpio woman compatibility often fails to last the distance, leaving two very wounded people in its wake. Part of the problem arises from the tendency both the Scorpio man and the Scorpio woman have to hide their true feelings. This can give rise to a series of misunderstandings between them, which both of them will resent and for which both will want revenge. This couple try to manipulate each other, forgetting that they’re both masters at this game. Being a fixed sign, both the Scorpio man and the Scorpio woman are very slow to make the first move towards a reconciliation, and both find it very hard to forgive and forget. 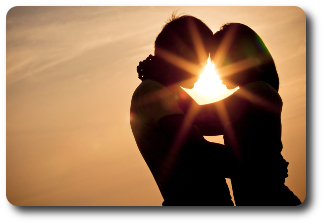 Scorpio man Scorpio woman compatibility is undoubtedly magnetic, and this is a couple which can, if they get the magic right, soar to heights few other couples can match. They do know instinctively how to hurt one another, though, and for this tempestuous water/water match, the emotions sometimes simply run too deep for either partner to successfully handle.